A medical malpractice case is a case against a health care provider who failed to comply with the "standard of care." In a Virginia medical malpractice case, the standard of care is what a reasonably prudent doctor, nurse, pharmacist, hospital or other health care provider would do under similar circumstances. A healthcare provider who fails to comply with the standard of care is negligent and if the negligence causes a serious personal injury or death, the health care provider can be held liable and compelled to compensate the victims for medical bills, pain and suffering, lost income, and other damages. Injuries can also be caused by falls in medical facilities and defective medical devices. Medical malpractice attorney Josh Silverman of Richmond, Virginia has been representing victims of medical negligence for more than 17 years. When a doctor, nurse, or other healthcare professional fails to properly execute medical standards of care, Silverman fights to make the responsible medical professional pay for medical bills, lost wages, and pain and suffering for the victim. He encourages victims to visit a lawyer who specializes in medical-related cases because this area is so complex. 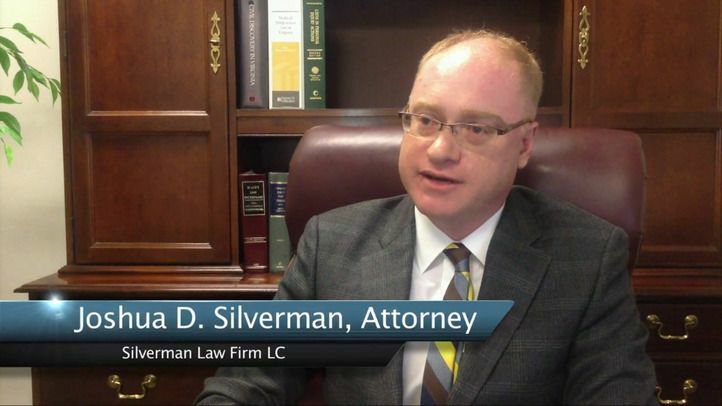 Silverman teaches and continues his education in medical malpractice each year. The specific personal injuries and damages suffered by the plaintiff. The statute of limitations for medical malpractice in Virginia is two years from the date of injury in most cases. Va. Code Ann. § 8.01-243. In a wrongful death medical malpractice case, the lawsuit must be filed by the executor or administrator of the estate of the patient within two years of the patient's death. Va. Code Ann. § 8.01-244. The statute of limitations for children is slightly more flexible. If a child under the age of 8 is a victim of medical malpractice, the child has until his or her 10th birthday to file a lawsuit. Va. Code Ann. § 8.01-243.1. If the malpractice was committed by a doctor or nurse employed by the Commonwealth of Virginia, such as employees of VCU or UVA, then the claim may need to be brought under the Virginia Tort Claims Act. To bring a claim under the Virginia Tort Claims Act you must provide notice to the Commonwealth within one (1) year of the malpractice and claims are limited to one hundred thousand dollars ($100,000.00). In Virginia, certain circumstances may extend the statute of limitations in medical malpractice cases. One exception is the "continuing treatment rule." Under the continuing treatment rule, if there has been substantially uninterrupted treatment for the same condition by the health care provider, then the medical malpractice lawsuit must be filed within two years of the date of last treatment. Another important exception is when a foreign object such as a surgical sponge is left in a patient without the patient's knowledge. In a medical malpractice lawsuit for a retained foreign object, the plaintiff has the longer of two years from the date of injury or one year after the patient discovered or should have discovered that a foreign object was left in the body. It is however subject to a cap of 10 years from the date of injury. It is best to consult an attorney as soon as you suspect you may have a case because of the statute of limitations. In addition to the statute of limitations, the Virginia's Medical Malpractice Act sets forth the maximum amount a patient can recover due to medical malpractice. Va. Code § 8.01-581.15. For malpractice committed in 2011, the cap was $2,000,000. Starting on July 1, 2012, the cap increases by $50,000 per year until it reaches $3,000,000. Punitive damages: If the medical malpractice was particularly egregious, punitive damages of up to $350,000 may also be awarded. Va. Code § 8.01-38.1. Cases that warrant an award of punitive damages include physicians performing unnecessary surgery to increase their profits and nursing homes that refuse to hire sufficient staff to care for their patients. Medical malpractice cases are aggressively defended by some of the best lawyers in Virginia. If you or a family member was a victim of medical malpractice, you want to hire an attorney with extensive experience representing victims of medical malpractice in Virginia. Please click here to contact us to discuss your specific legal matter. Has your doctor been disciplined by the Virginia Board of Medicine? When an elderly person is the victim of medical malpractice it is often disputed whether he or she died as a result of medical malpractice or whether the victim suffered personal injuries yet died of other causes. Attorney Josh Silverman filed this brief in the Virginia Supreme Court successfully arguing the plaintiff can present both personal injury and wrongful death claims to the jury. Attorney Josh Silverman co-authored this successful amicus curiae ("friend of the court") brief in the Virginia Supreme Court arguing that hospital incident reports must be provided to the plaintiff. In this landmark medical malpractice decision, the Virginia Supreme Court held that incident reports that contain medical information are not protected from discovery. In 2005, the Virginia General Assembly enacted the most sweeping procedural changes to medical malpractice litigation in years. For injured persons, the most significant change was a new requirement that the plaintiff must obtain a certificate of merit from a qualified expert before serving the lawsuit. How can I find out if a doctor has ever been disciplined by the Virginia Board of Medicine or whether the doctor has ever had a medical malpractice settlement? What is a risk of the procedure? I have a very bad result. Does that mean that I have a case? Who are health care providers? Do I need to have an expert witness certify that the case has merit prior to serving a medical malpractice lawsuit? Institute of Medicine: "What You Can Do To Prevent Medication Errors"
Description: This Fact Sheet is a great self-help guide to avoid becoming a suffering personal injuries due to a medication error. Description: Before pursuing a medical malpractice lawsuit we read the same medical literature the doctors read. Medline is one of many tools for finding medical literature. Pubmed is another valuable resource. Description: People Over Profits is committed to fighting back against the well-organized and well-funded assault on the civil justice system, and protecting American civil rights and trial by jury. Joshua Silverman shares the commitment of People Over Profits to protect the right to trial by jury. Description: The Institute of Medicine estimates that up to 98,000 Americans die each year due to medical malpractice. The Agency for Healthcare Research and Quality's website provides helpful information for patients to be advocates for their own safety when undergoing medical care. Description: The Virginia Board of Medicine's databank provides important information about all medical doctors and podiatrists licensed in Virginia. At this website you can research the educational background of doctors as well as whether they have ever settled a Virginia medical malpractice claim or had a judgment entered against them.